“Man’s best friend.” Never has a truer phrase been said when we think of the long, rich history of loyalty and companionship between dogs and humans. The man: Kyle Smith, U.S. Air Force. The best friend: Bodza, an 11-year-old German shepherd. The pair ended up with a significant shared history after spending 189 desperately cold days in Kyrgyzstan on a security mission. Bodza was a military dog. Bodza had worked with the U.S. Air Force as an explosive-detection dog since 2006. He’d amassed an impressive back catalogue working with unexploded bombs in Iraq, Kyrgyzstan, and Kuwait, and had saved countless lives by doing so. Kyle started working with Bodza in 2012. Bodza also brought a sense of levity to a job that could often be arduous. 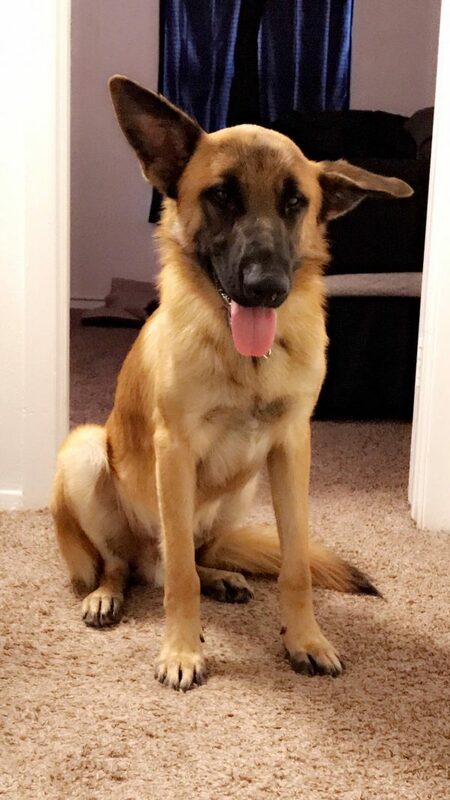 Kyle described him as “goofy and gentle,” and the pair seemed to enjoy a sense of humor, a fact that friends and colleagues found endearing. Unlike with human friends, there can be a profound sense of responsibility when it comes to animal companions. Especially when their health deteriorates. And this is what happened to Kyle and Bodza. In the summer of 2016, the ageing dog was diagnosed with a progressive terminal illness, which caused him to lose the ability to stand and walk. Kyle agonized but swiftly realized that his responsibility was to ensure that Bodza suffered as little as possible. He made the heartbreaking decision to have his dear canine companion put to sleep. 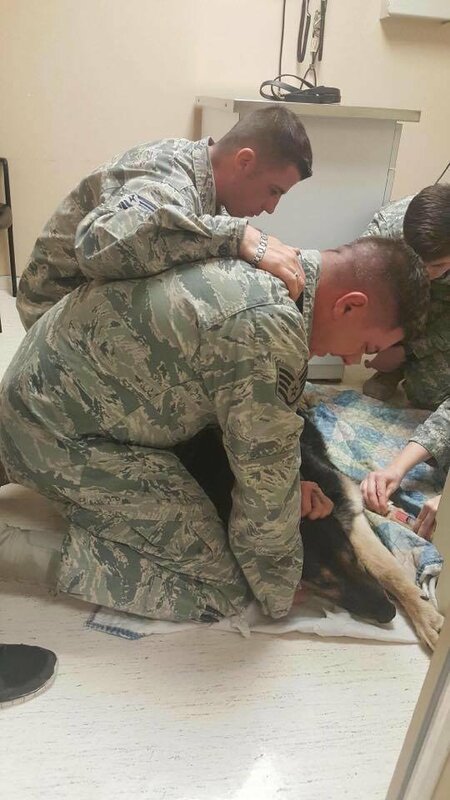 Kyle, along with nine supportive colleagues, took Bodza to the Fort Bliss Vet Clinic in El Paso, Texas. 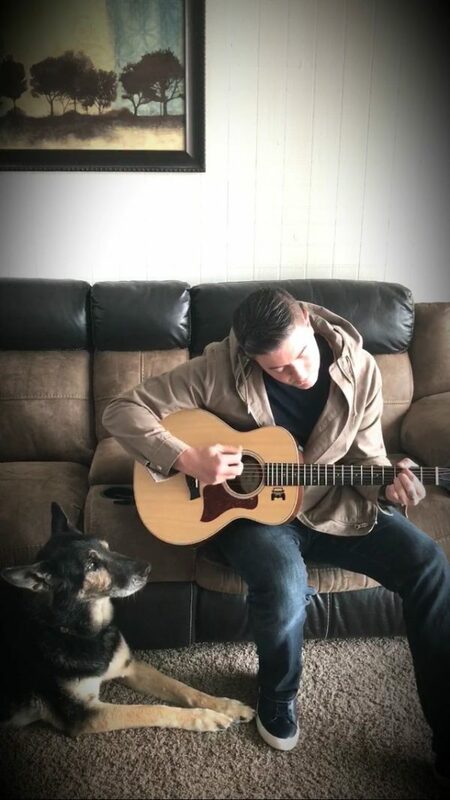 The dog was surrounded by loving companions in his final moments, and Kyle held him as the veterinarian administered the dose that would put him to sleep. Kyle told WSOC that he gave his dear friend his favorite meal, a McDonald’s Big Mac, as a final treat. 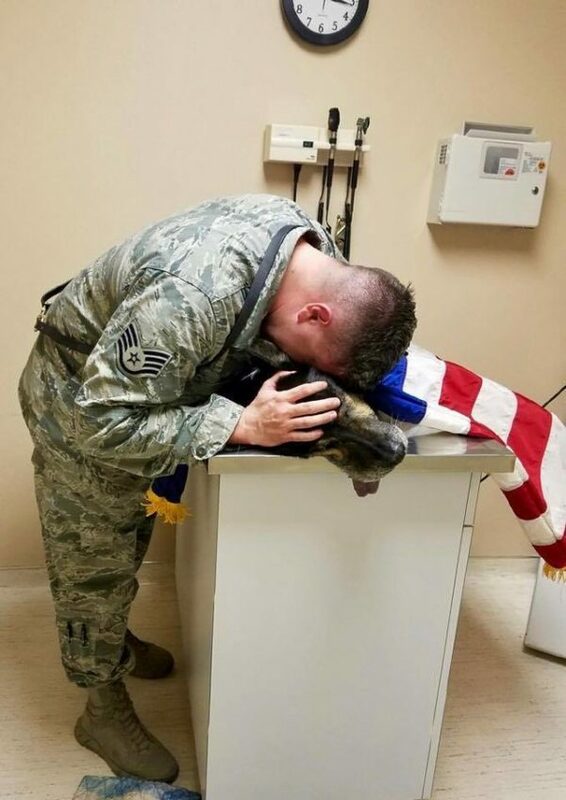 In a mark of deep respect for Bodza’s passing, and for Kyle’s grief, his colleagues draped a flag over the dog’s resting body and allowed Kyle to cry. Watch the full video of Kyle and Bodza’s heartwarming friendship below. Are you an animal lover? 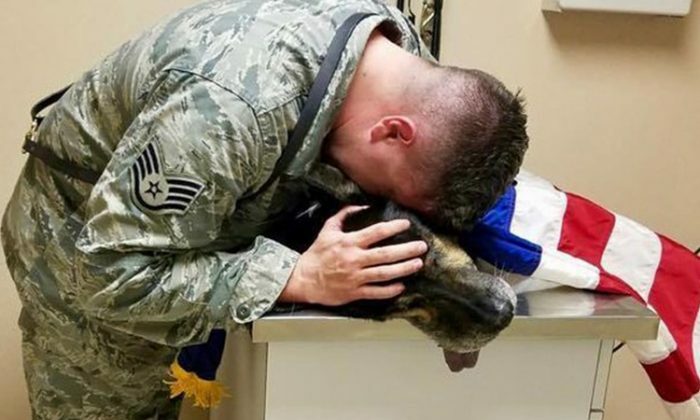 Share this article with every animal lover you know, and honor a profound friendship between a military man and his dog.